Number 1 on our Geek Gadget list is PopSockets. These multi-functional gifts are sure to impress any techie in your life. Not only are Popsockets a handy grip for all types of devices, they double as a media stand, allowing users to multitask in “hands-free” mode. You can also use these nifty gadgets to store your earbuds tangle-free. PopSockets make sharing easy! 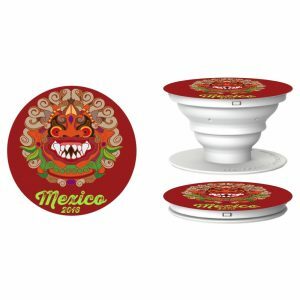 Put them under your favorite device to slide it across the table to someone else. There’s a lot of commotion and a lot of chatter all around us. Whether you’re outside or working in an office, everyone wants just a little peace and quiet. Our ePromos’ Bluetooth Noise Canceling Headphones offer a moment of serenity. Impress your elite customers with something they can use everyday. These headphones reduce ambient noise and give the wearer a quiet environment. The sound quality is dynamic stereo sound with 10 hours of play time. These headphones also have an integrated microphone with volume control buttons. Compatible with most audio devices, including cellphones, users can take a call hands-free from up to 30 feet away! Each pair of premium promotion headphones comes with a zippered travel case. Inside, a mesh pocket keeps your charging and audio cords tangle free. 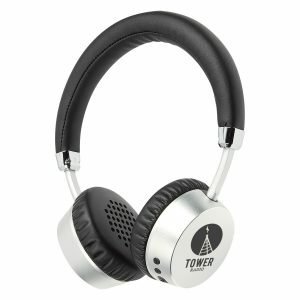 We ship these headphones pre-packaged in a gift box, making them the perfect item for year-end giving! Sometimes it’s hard to figure out what to buy everyone on your list. So, take the worries out of this decision-making process with something almost everyone will love: the Toddy Gear® Cell Phone Wallet and Cleaning Cloth. Toddy Gear® is the next level of cool in tech world. Keep a cleaning cloth always within reach, thanks to a removable wallet that rests on the back of your phone. Remove and reattach the microfiber cloth easily, keeping any phone screen sparkling clean. 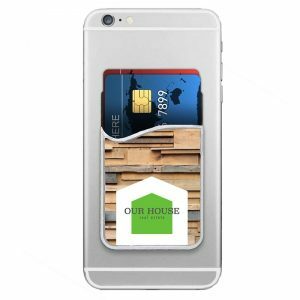 The silicone cell phone wallet attaches to your phone with strong 3M self-adhesive. The wallet uses an adhesive that can stick to any surface, without creating a sticky mess. 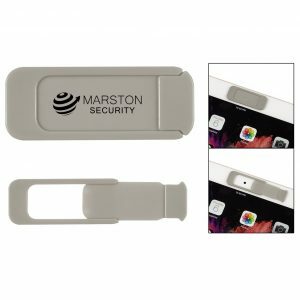 Promotional phone wallets are perfect for holding credit cards, IDs, business cards, and more! This final brand reminder made our Top 5 List because “baby it’s cold outside” this time of year. If you’re looking for something trendy to give out at your holiday party this year, the Bluetooth Speaker Knit Beanie might be it! This tech-savvy headwear seems to do it all. Yes, it’s a warm hat. But, it also has built-in Bluetooth technology that transmits up to 32 feet. This allows you to listen the game or walk to work with your playlist. It’s impressive six-eight hours of playback time will not let you down! 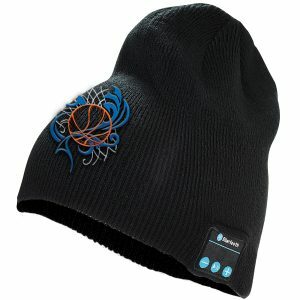 And your embroidered logo will add an additional touch of sophistication. All of these Geek Gadgets are an affordable way to carry your message out into the community you serve. If you’re still looking for some ideas, consider browsing our corporate gift selection by price, theme, industry, or even by color. These gifts will help ensure your company’s name stays top of mind long after the holidays are over.